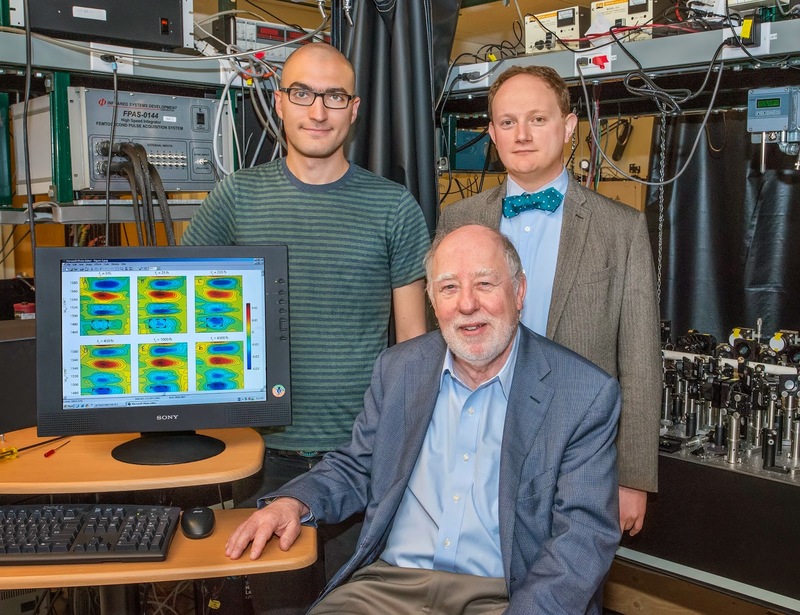 From left to Right: Nicholas Lewis, Graham Fleming and Tom Oliver [photo courtesy: Lawrence Berkeley National Laboratory, USA]. Graham Fleming, UC Berkeley’s Vice Chancellor for Research, a faculty senior scientist with Berkeley Lab’s Physical Biosciences Division, and member of the Kavli Energy NanoSciences Institute at Berkeley, led the development of a new experimental technique called two-dimensional electronic-vibrational spectroscopy (2D-EV). By combining the advantages of two well-established spectroscopy technologies – 2D-electronic and 2D-infrared – this technique is the first that can be used to simultaneously monitor electronic and molecular dynamics on a femtosecond (millionth of a billionth of a second) time-scale. The results show how the coupling of electronic states and nuclear vibrations affect the outcome of photochemical reactions. Fleming is the corresponding author of a paper in the Proceedings of the National Academy of Sciences (PNAS) titled “Correlating the motion of electrons and nuclei with two-dimensional electronic–vibrational spectroscopy” . Co-authors are Thomas Oliver and Nicholas Lewis, both members of Fleming’s research group. 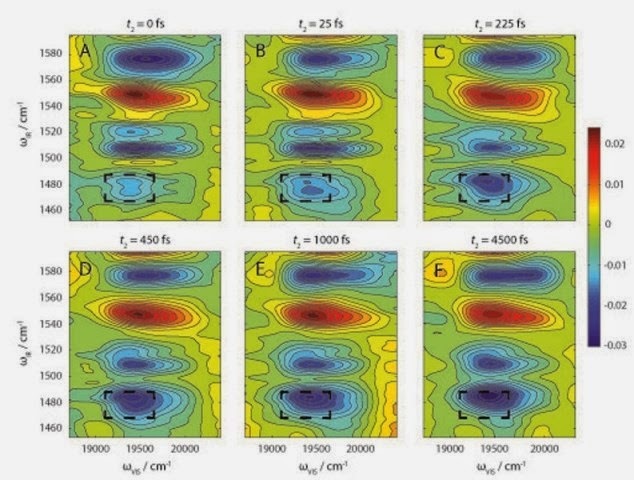 Figure 1: 2D-EV spectral data tells researchers how photoexcitation of a molecular system affects the coupling of electronic and nuclear vibrations that is essential to understanding how the system functions. Thomas A. A. Oliver, Nicholas H. C. Lewis, Graham R. Fleming, "Correlating the motion of electrons and nuclei with two-dimensional electronic–vibrational spectroscopy". Proceedings of the National Academy of Sciences of the United States of America, published May 16 (2016). doi: 10.1073/pnas.1409207111.